"A collection of powerful data manipulation, topology and surface functions for ArcGIS "
* Create Centerlines and Aggregate Polygons functions added to the version for ArcGIS 8.x. * Scripting and toolbox implementation of the Ungenerate function added. * Two new options added to the Features To Bounding Rectangles function. * The Clean Dangles function allows user defined Fuzzy/Cluster tolerance to be assigned - better user control over the function. * **Several Functions improved to handle datasets with Z or M values. In the previous versions the input Z(M) values were dropped . Point Intersection function produces incorrect results if a polygon dataset that have polygons with holes is used. A licensing problem in the Scripting and ToolBox implementations in ArcGIS 9.0. One of the best and most useful functions that this extension has is 'Create Shapefile' inside ArcMap to create a new point, line or polygon. "See your location on the map, with or without GPS. Save time and tedious keystrokes finding where you are, what's around you, and how to get there. Watch the video on the right to see how it works." "Why the uncertainty? 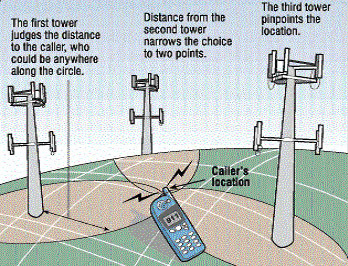 The My Location feature takes information broadcast from mobile towers near you to approximate your current location on the map - it's not GPS, but it comes pretty close (approximately 1000m close, on average). We're still in beta, but we're excited to launch this feature and are constantly working to improve our coverage and accuracy. The My Location feature is available for most web-enabled mobile phones, including Java, BlackBerry, Windows Mobile, and Nokia/Symbian devices." Google Maps API users will be pleased to know the Terrain Layer will be available. Large U.S. Cities have Oblique 2.5D Buildings in Terrain Mode. But where is the Hybrid Mode gone? Google incorporated the hybrid feature into the satellite mode. Just click Satellite and then you’ll see the checkbox appear which says “show labels.” If the box is checked roads/streets will be labeled just as Hybrid mode. 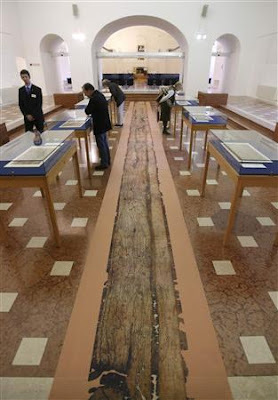 "The parchment scroll, nearly 7 metres (yards) long, could only be displayed briefly because too much light would damage it, before it was returned to storage at Austria's National Library, where it has been since 1738"
Integrated with Google Maps: "satellite" or "map" view. But still not integrated with Nokia Maps! 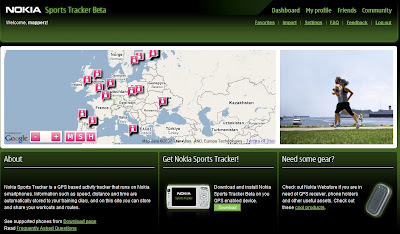 What tools do I need to use the Nokia Sports Tracker Online service? For viewing the stuff on Nokia Sports Tracker Online you need a web browser. Reverse Geocoding is the inverse relationship where each geographical coordinate is mapped to the nearest known address. Currently this feature is not directly supported by the Google Map API. But can be done by Nico's Reverse Geocoder for Google Maps API using Google's Directions functionality. Nico has been keen to add some more useful functionality to the Reverse Geocoder. Pan and Zoom click your location and the address and country code is shown. Since v1.0.2. Once the Reverse geocoder is set up experimental house number support is enabled by calling the setExperimentalHouseNumber method as shown in the example. REQUESTS WHICH COULD EXCESS THE GOOGLE REQUEST LIMITS. That's exactly why it is disabled (uncommented) in the full example. 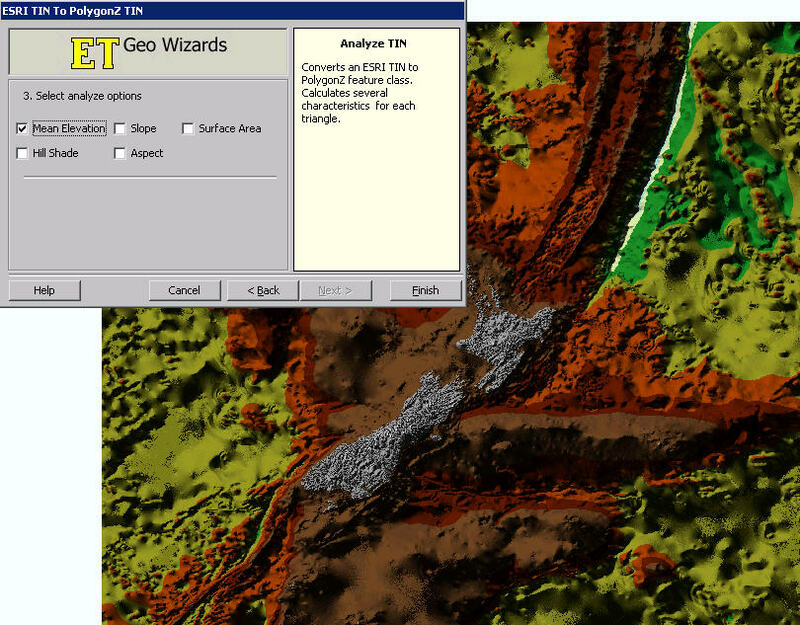 So ArcGIS 9.2 and with Service Pack 4 installed. Here is Mapperz ArcGIS Tips and Tricks to get you more productive without the caffeine. Okay Please note not supported by Mapperz but these methods 'help' ArcGIS run faster and give extra memory allocation. Before ArcGIS the Operating System should be tuned for ArcGIS. (and therefore reduces the size of system space from 2 GB to 1 GB). If so and you want to share Arc/Info licenses but allow the user to use ArcGIS you can add ArcView single license to the Desktop Administrator. It is very simple to do this. Just add the ArcView DVD to the DVD and got to install it. It will detect that ArcInfo is already installed and adds a component into desktop administrator. Finally got a PC with or over 2GB of RAM? that should make ArcGIS go a little faster. This post is a result of user experience and Microsoft Pages and ESRI Support. Use the ESRI Web Based Help - this is more up-to-date than the Installed version. "Google aims to help people find information that matters to them quickly and easily. 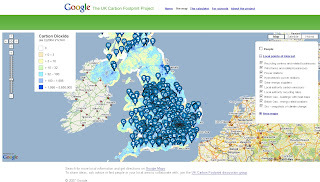 Through the UK Carbon Footprint Project we make information on calculating and reducing your carbon footprint, as well as information on climate change in the UK, easily accessible to everyone"
The project enables you to calculate your carbon footprint, choose personalised carbon-reducing actions and compare your footprint and actions to those of others around the country by placing yourself on the Google UK Carbon Footprint Map. 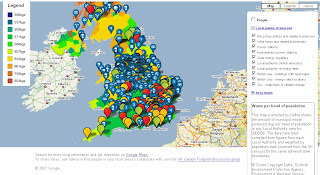 Use the Google UK Carbon Footprint Map to find resources and facts about the UK’s carbon emissions and climate change. They have worked with partners to create special layers for the map which will show information such as recycling rates of local councils, heat map images of famous buildings, where your nearest recycling points are and predicted future weather under different carbon emission scenarios. The map also shows everyone taking part across the country, making it easy to see how individual actions add up to make a difference. The constantly updated project statistics will show how many people are taking part and the total carbon saved. To show the real impact of what is achieved, the carbon saving will be compared to carbon emissions of places across the country, effectively "wiping out" the carbon emissions of towns and cities. Questions your be asked on your impact. If everyone does there bit - it might just work. 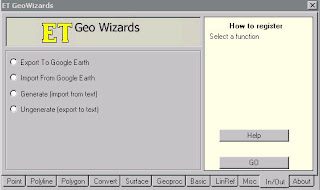 NIM002728 - GeoTIFF files created with the ArcMap Export Map function should contain spatial reference information in addition to the currently encoded position and transform. NIM007791 - Append Annotation tool in ArcToolbox creates duplicates of all fields for each annotation feature class being appended. NIM007843 - Text symbol halos often fail to draw correctly, or they drop out. NIM008760 - File geodatabase raster catalogs with managed imagery crash ArcGIS Engine applications. NIM009820 - Graphic elements added using the Insert Picture command may have some pixels turn black when the MXD is saved with elements in "Save picture as part of document" mode. Parts of the picture may also turn black during export to PDF or other vector graphics formats. NIM010025 - Closing the map when multiple editors are editing a version concurrently does not save edits when requested. NIM011119 - Browsing for PMF (ArcPublisher) files will no longer cause the computer to freeze. NIM011379 - When switching from the Maplex labeling engine to the standard ESRI labeling engine, the View Unplaced Labels function stops working for the standard labeling engine, and any previously displayed unplaced labels are removed. NIM011521 - The ExportCAD function now creates a new PRJ file if overwriting an existing CAD file that already has a PRJ file, along with the CAD file. If you have a spare 15-20 minutes you can read the full list of bug fixes. The Google Directions with the draggable route (auto-recalculates your route) has had a tweak. When you now drag the route and release at a location there is no longer an intermediate stop marker added. This makes a small but very good improvement on the results of the directions. see the route, now excludes a stop so directions are more accurate. "The Geograph British Isles project aims to collect geographically representative photographs and information for every square kilometre of the UK and the Republic of Ireland, and you can be part of it." "Great Britain 1:50 000 Scale Colour Raster Mapping © Crown copyright Ordnance Survey. All Rights Reserved. Educational licence 100045616." using openlayers as the client library." Mapperz thanks Barry for sharing his time and tweaks on this. Well done and keep up the good work. "Further restrictions are being put in place in a wider area surrounding the infected premises near Diss as a precautionary measure. In consultation with ornithologists and other experts, a wider Restricted Zone has been established in addition to the controls put in place earlier today; i.e. the 3 km Protection Zone and 10 km Surveillance Zone around the Infected Premises. The new Restricted Zone covers much of Norfolk and the whole of Suffolk. This is still an early stage in the outbreak. The new Restricted Zone requires the isolation of poultry from wild birds. Movements within this zone can take place, but movements are not permitted out of the new zone at present. We expect to make available general licences for low risk movements out of the zone shortly. No movements of poultry are permitted at present in the 3km and 10km zones around the Infected Premises. These measures are a precaution while the results of further laboratory tests and investigations into the outbreak are awaited. In addition, the national general licence permitting bird gatherings in England has been revoked, and bird shows and pigeon racing will not be permitted for the time being. As further information becomes available, and in consultation with ornithological and other experts, the restrictions in place may be adjusted." Flood warnings are in place in Norfolk and Suffolk in eastern England, as a tidal surge builds in the North Sea. Yes in 1953 but with out the technologies in weather and sea surges prediction caused widespread flooding.